Husband and wife team Toriano and Serena Fredericks travel around the Durham area serving a unique combination. Their food truck, Boricua Soul, offers Puerto Rican-influenced soul food. 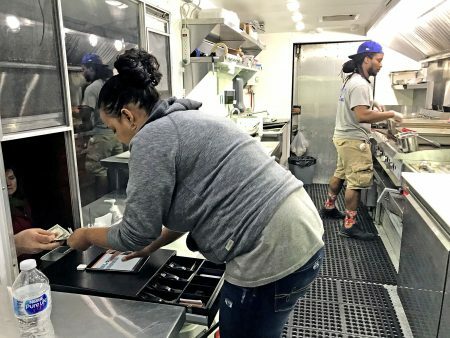 Toriano Fredericks’ inspiration to start a food truck came from being at sea. The Fredericks bounced ideas back and forth about the food truck on their way to the North Carolina Zoo with their son Devin. Serena Fredericks’ mother’s family is Puerto Rican, and Toriano Fredericks’ family is African American. The two were constantly trying to find ways to combine these types of foods to make meals they could both enjoy. The name comes from a combination of the Fredericks’ backgrounds. Toriano Fredericks said the food that Boricua Soul offers ties together the common histories between soul food and Puerto Rican food. Boricua Soul’s logo also ties into the idea of looking back. The truck started as a tool truck. The process of transforming the truck took about five months because the Fredericks wanted its completion to coincide with Toriano Fredericks’ return from sea. They also wanted the Kickstarter they launched to be completed. Boricua Soul opened in October 2015. Since then, the Fredericks have received a lot of support from the community. Rebecca Morrison lives in Durham and believes Boricua Soul is a good addition to the community. Not only is the food delicious, but the customer service is great. Currently, Boricua Soul is only open for events. The Fredericks hope to change that soon. The Fredericks agree that being together as a family makes all the hard work worth it. 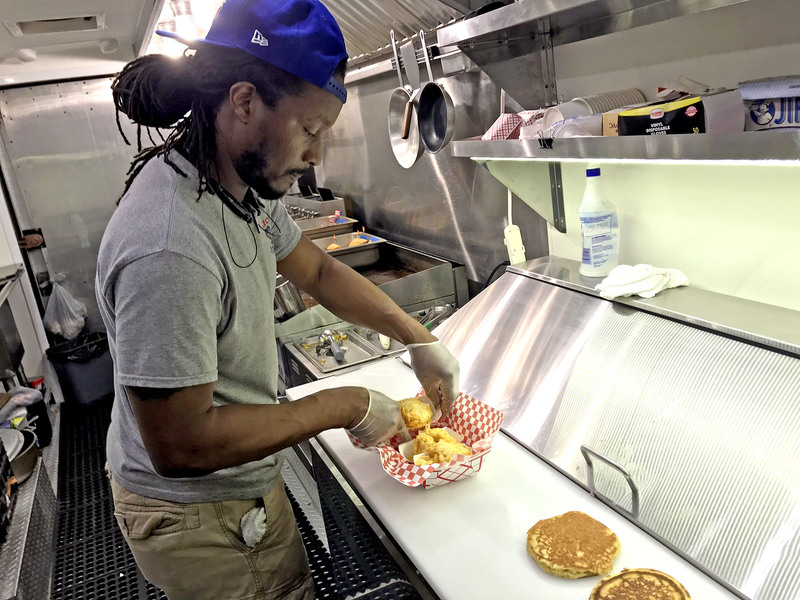 “The food truck is our vehicle and our dream, and we think we can be successful at the end of the day,” said Toriano Fredericks. Boricua Soul’s calendar of events can be found here. To book them for an event, call 919-902-0520 or email soulpatroldurham@gmail.com.